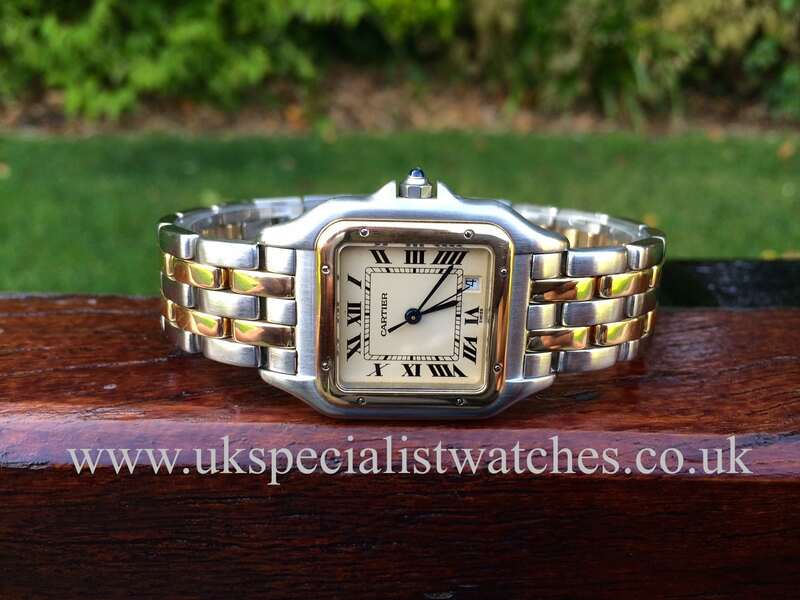 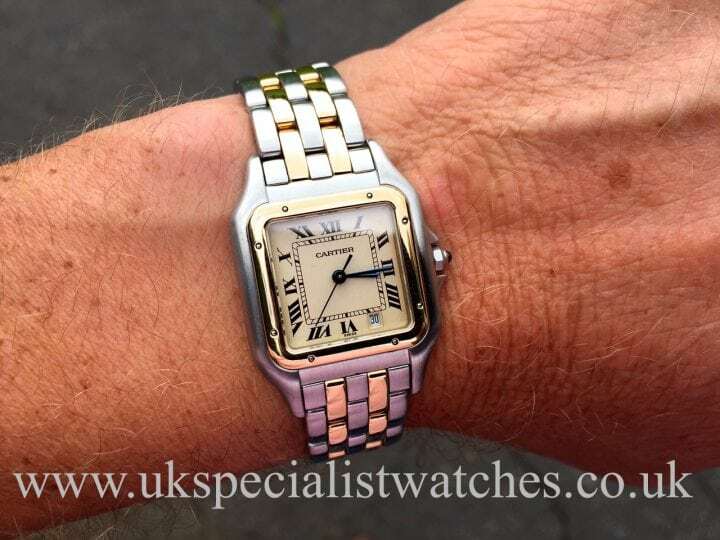 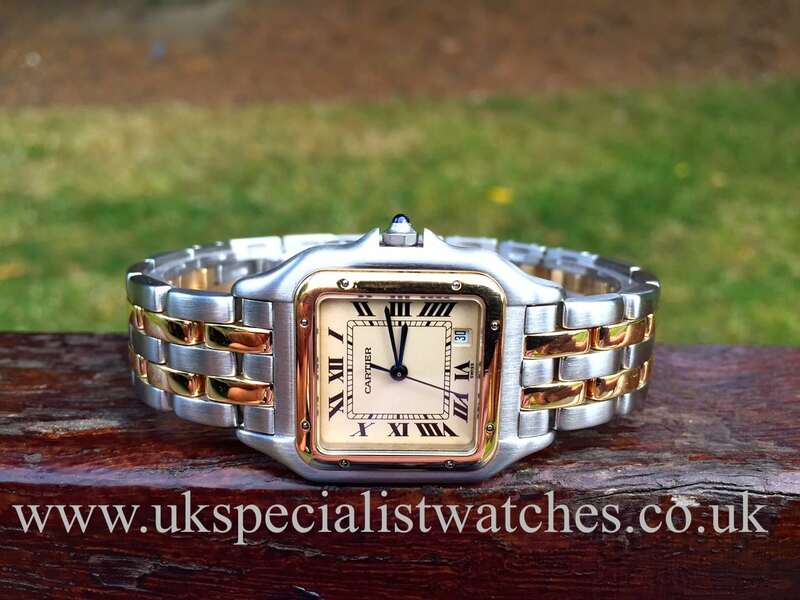 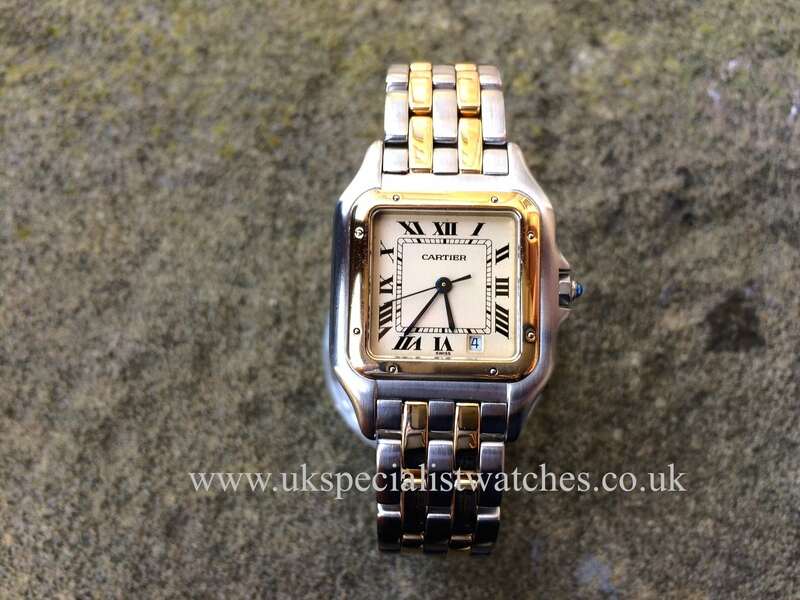 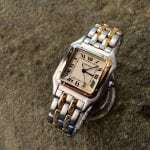 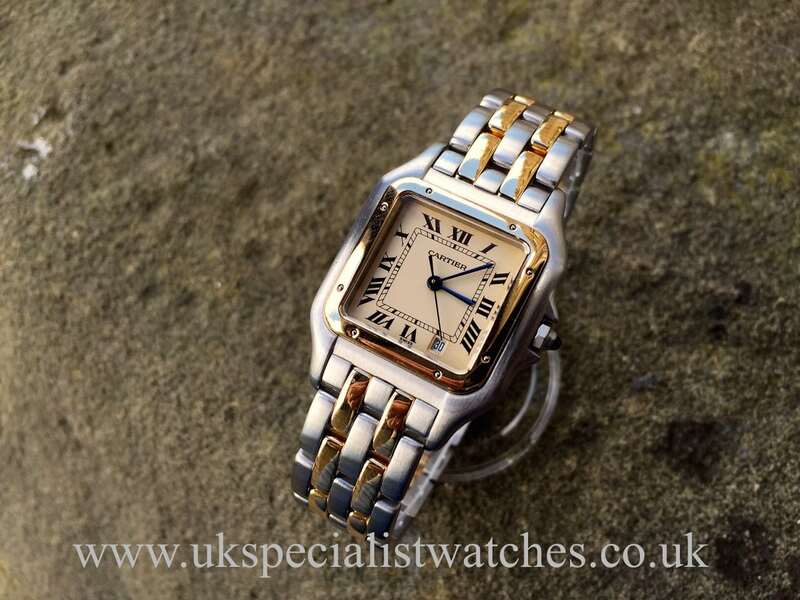 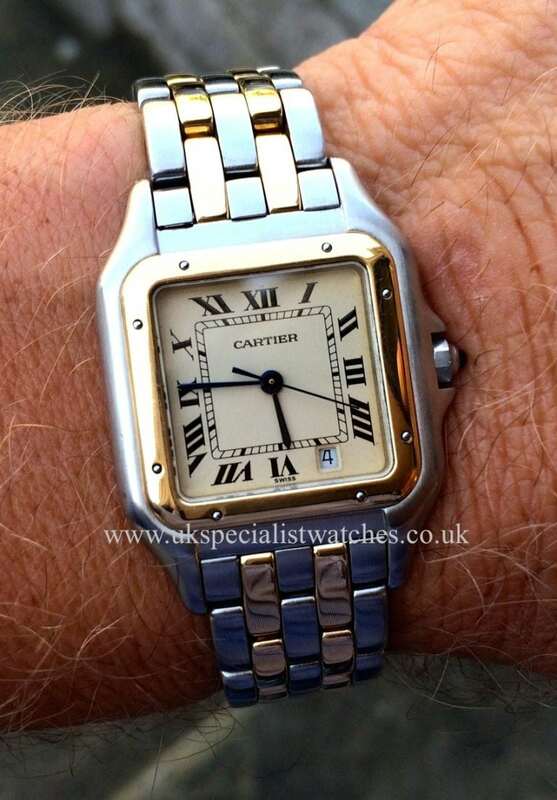 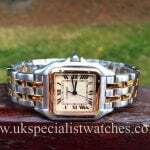 The Panthere is now known as one of Cartier’s iconic timepieces, it is both stylish & elegant. Our excellent example has a ivory dial with Roman numerals & blued steel sword shaped hands, and of course Cartier’s secret signature at 7 O’clock, fitted with a bi metal stainless steel and 18ct gold bracelet, Quartz movement. 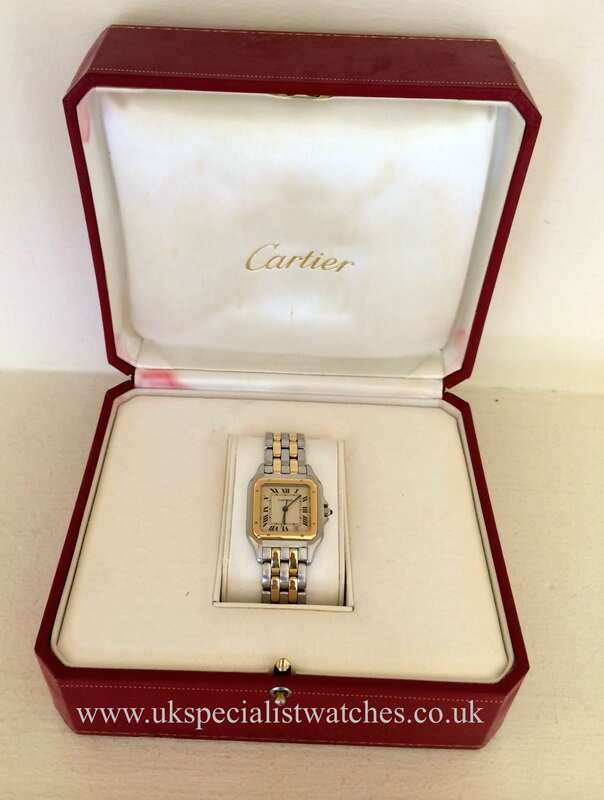 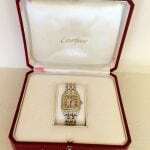 comes complete with original box. 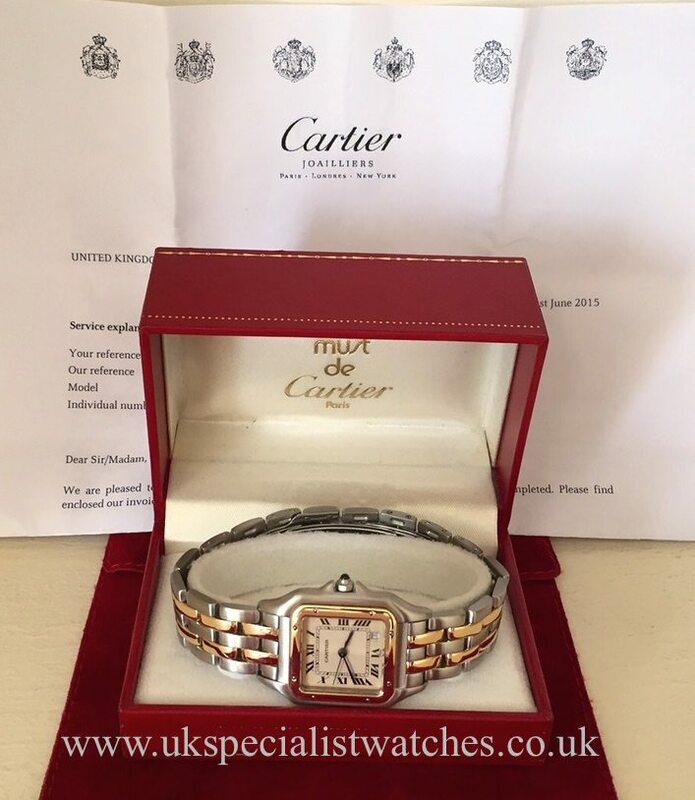 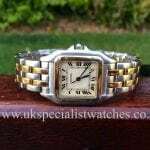 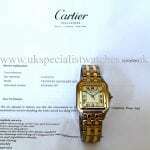 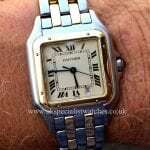 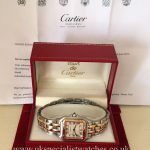 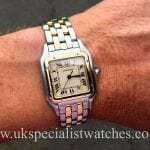 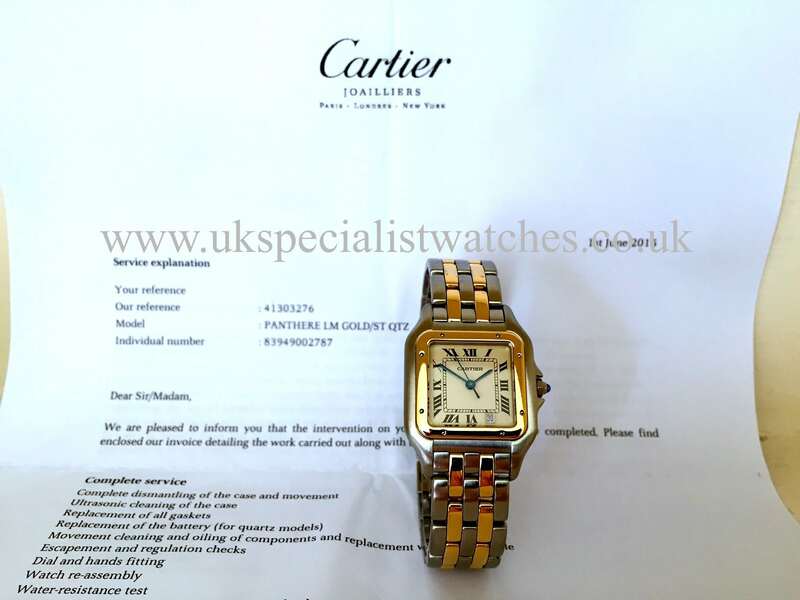 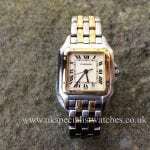 The watch is absolutely as new having just returned from a full service at Cartier London.